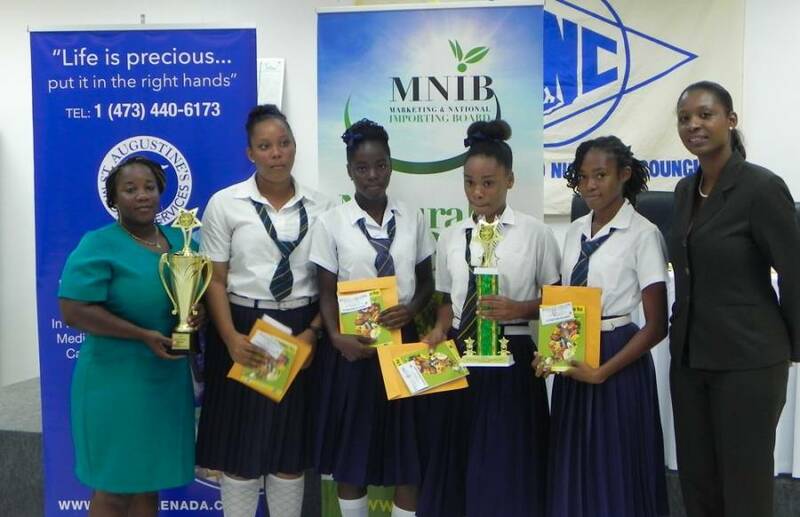 On Thursday, 30 April, four of our nation’s secondary schools met at the Grenada National Stadium to compete in the finals of the 11th Annual Grenada Food and Nutrition Council (GFNC) Food & Nutrition Quiz. 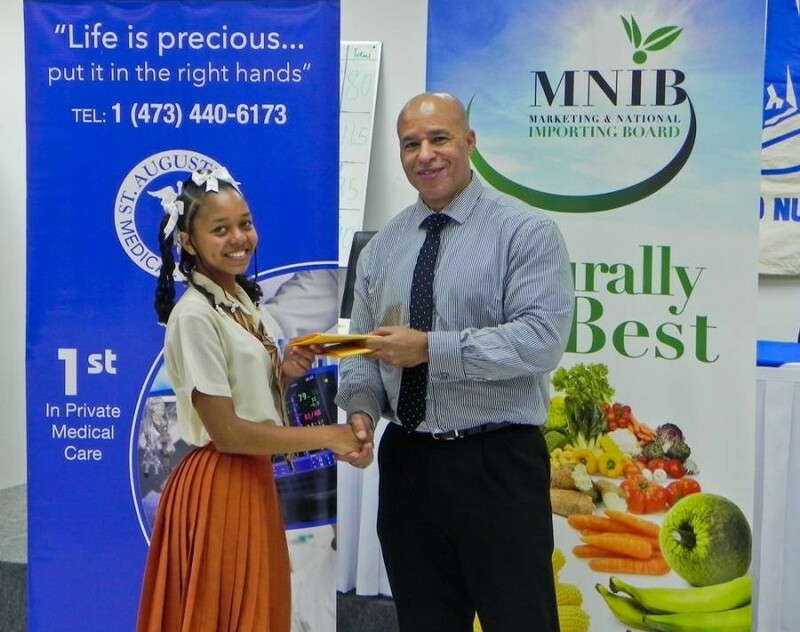 The first round of the competition, which was held on 23 April, received outstanding participation from 12 schools across Grenada and Carriacou. This year, the schools were separated into 4 zones — South, West, East, and Carriacou — with the winners from each zone to meet in the finals. Presentation Brother’s College (PBC), representing the south zone; Happy Hill Secondary School, winners from the west zone; St Joseph’s Convent–Grenville, east zone; and Bishop’s College representing Carriacou, were able to edge out their competitors and earn their places in the final. St Augustine’s Medical Services (SAMS) has been a sponsor of the quiz for the past two years, and once again stepped on board to support the initiative. Dr Lutz Amechi, resident physician and Mrs Allyson Amechi, Administrative Director of SAMS, who were present at the finals, commended GFNC for hosting this quiz each year. Dr Amechi also commented on the value of nutrition and the hospital’s continued involvement in the quiz. “Nutrition is the cornerstone, foundation, base, root and the key to healthcare. At SAMS we are strong advocates of healthy living and in supporting this initiative, we are pleased to play a part in influencing the lifestyle choices of the future generation.” he said. As the students took to the stage, their enthusiasm and desire to be named this year’s champion was evident. However, it was Bishops College from the sister isle, Carriacou, who bested their opponents once again and retained their title as F&N Champs for the third consecutive year, with a total of 115 points. In third place was St Joseph’s Convent–Grenville — finalists in the 2014 competition — with a total of 85 points; and finishing second was Happy Hill Secondary School with 90 points. “Each year we are pleased with the participation and enthusiasm of the students. This quiz serves as a way for the students to learn current information in Food & Nutrition, helps them prepare for exams. Additionally, Food & Nutrition is a significant stepping-stone to very rewarding careers as nutritionists, dieticians and in healthcare. This is an industry that is growing and highly valued in a number of sporting fields, schools, hospitals and health care centres around the world.” noted Cristina Swan-Hinds, Communications Officer of GFNC. St Augustine Medical Services congratulated all the finalists of the quiz, in particular Bishops’ College for another outstanding performance, and confirmed their commitment towards the next competition in 2016.